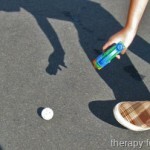 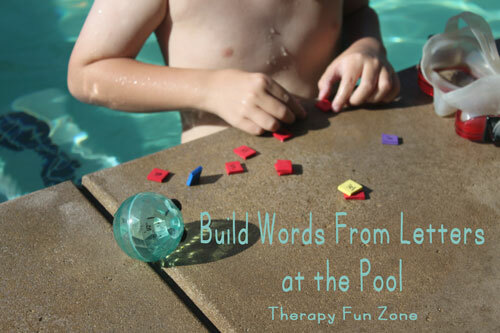 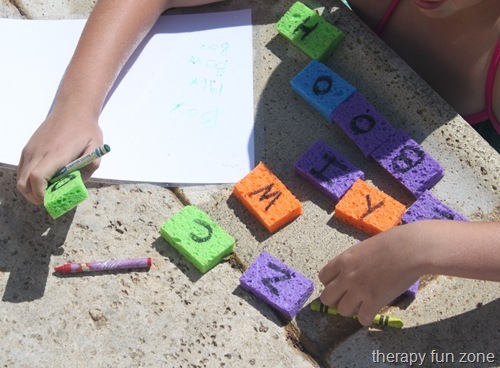 I played with foam letters with the kids in school where we rolled the dice and then fed the letters to the Munchy Ball, and now that it is summer, we took the game to the pool so that we could swim for the letters. 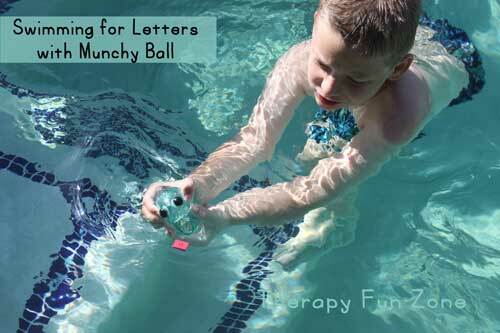 The fun foam letters float, so it makes it easy to swim for them. 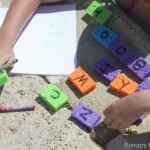 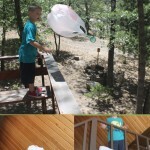 We threw the color dice (it worked better on the deck than in the pool) and then swam to get that color of foam letter. 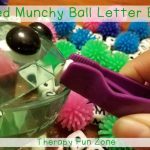 We fed the letters to Munchy Ball, and once we had enough letters inside of the ball, then we put them together to see how many words we could make from the letters. 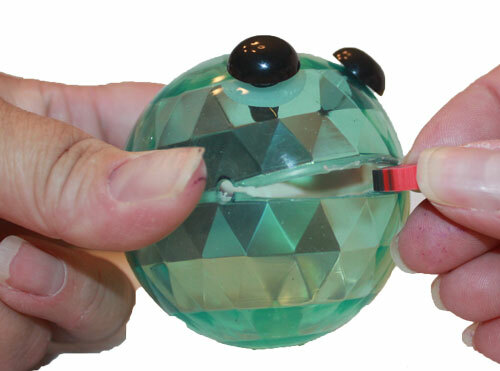 Munchy Ball loves the water, but you have to be careful because he will sink and then you have to dive down to find him. 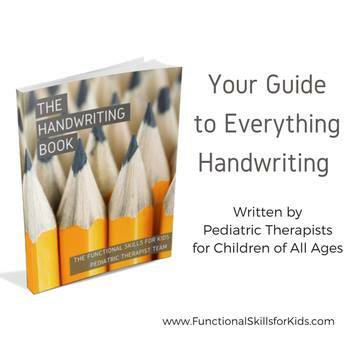 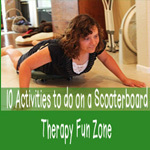 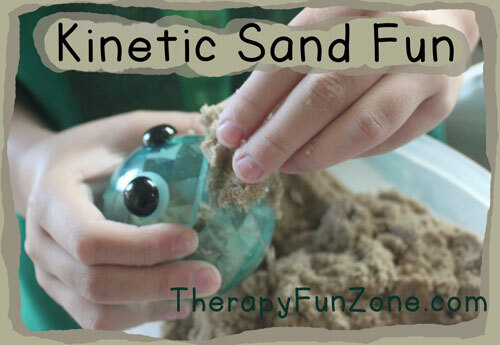 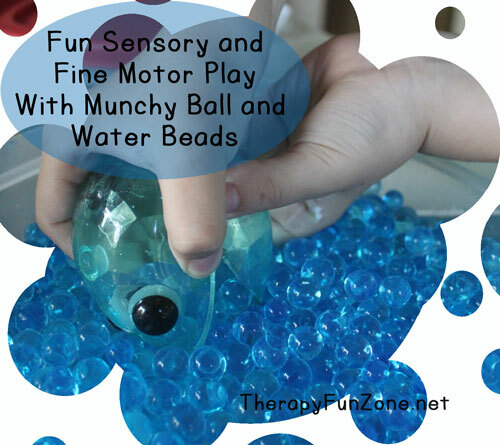 What other ways would you play in the water? 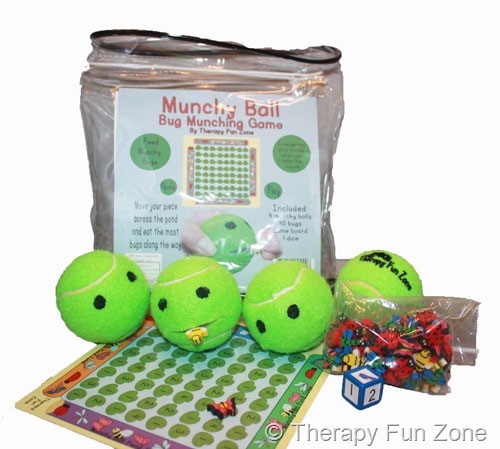 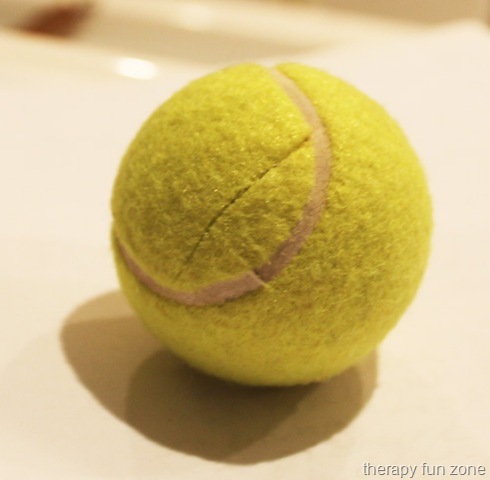 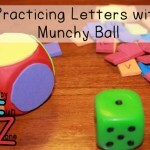 Check out other posts about Munchy Ball.